Please SUBSCRIBE and hit the LIKE button if you enjoyed the vlog/video! 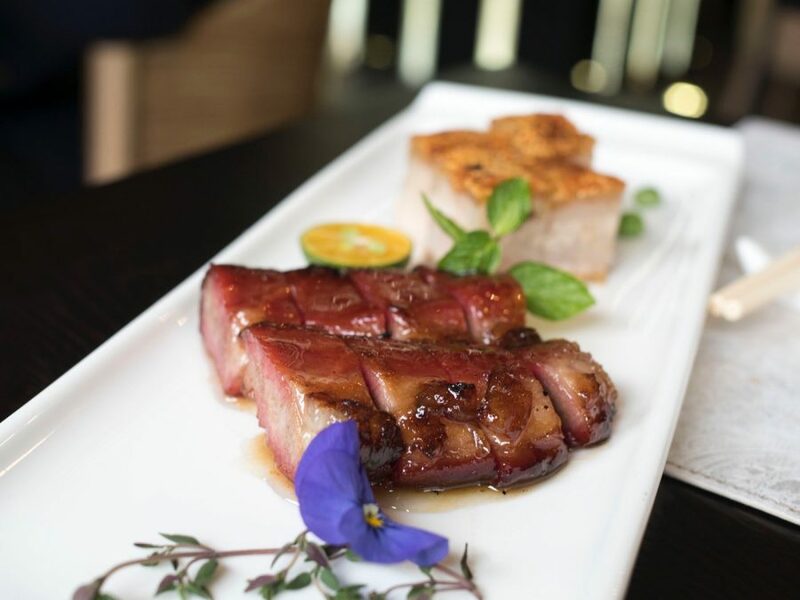 Shisen Hanten is a Japanese restaurant in Singapore specialising in Sichuan Cuisine. 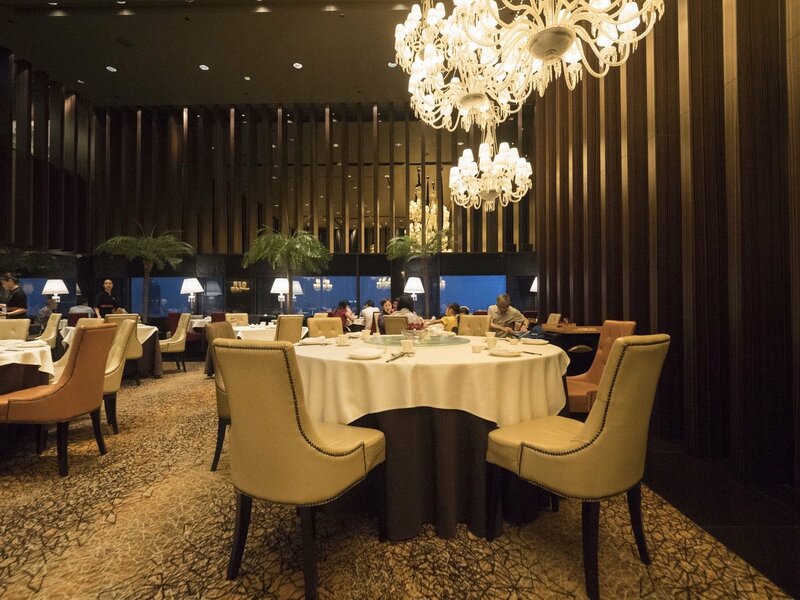 Touted as Singapore’s highest awarded Chinese-cuisine restaurant with 2 Michelin stars from the 2016 and 2017 editions of the Michelin Guide, the restaurant’s roots trace back to Japan’s first Sichuan restaurant in 1958 of the same name. 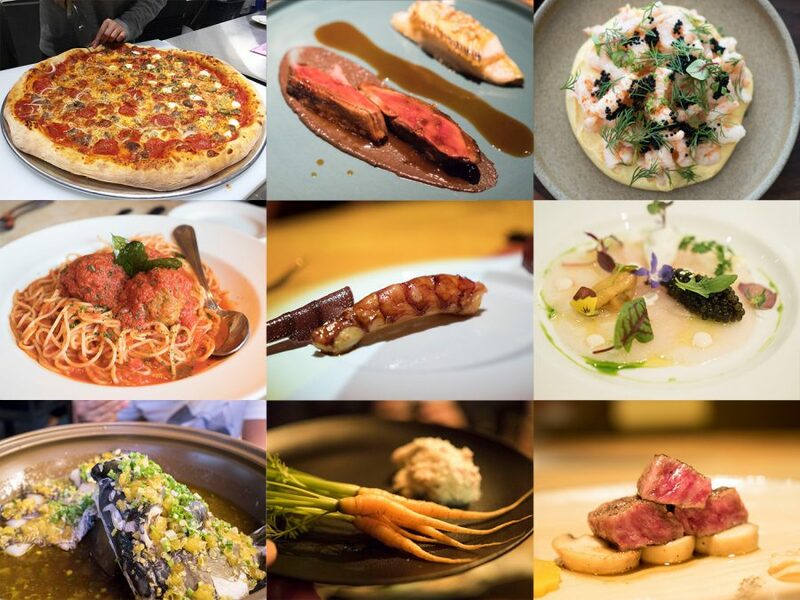 Today, I try to debunk the Michelin guide again. Founded by Chen Kenmin who migrated from Sichuan, China to Japan, his culinary legacy has passed down two generations to our favourite asian Iron Chef, Chen Kenichi, to Kenichi’s son, Chen Kentaro, who helms Shisen Hanten Singapore. With such an impressive lineage, I was thrilled when my good friend made a reservation at Shisen Hanten for my birthday, and was equally excited to see what my pseudo-sichuan wife (she’s from Hubei, which shares a very similar cuisine and flavour profile with Sichuan) would think of the Japanese-created Sichuan food. 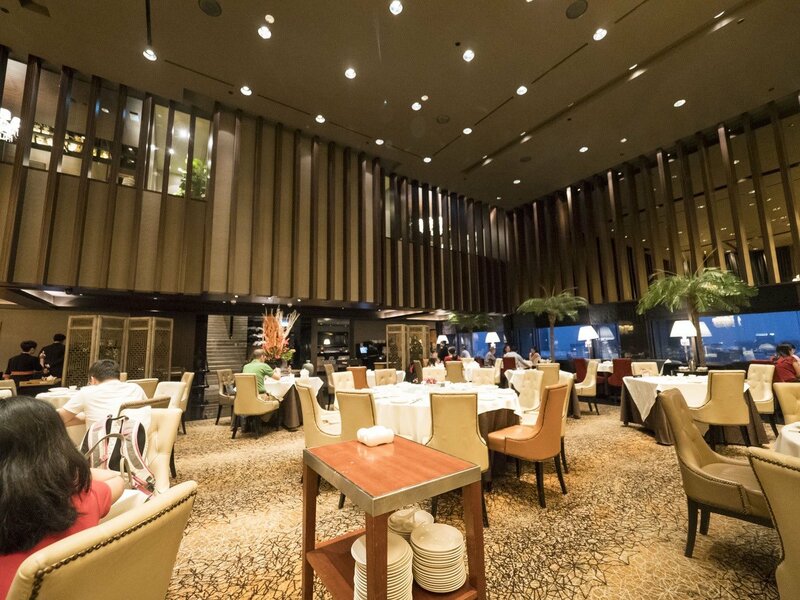 Shisen Hanten is located within the Mandarin hotel, on the 35th floor sporting lovely panoramic views of the Orchard Road area. We sadly didn’t get to enjoy a window seat. When one visits a restaurant like Shisen Hanten, one cannot help but have certain expectations on the food. I had expected it to be Japanese recreations of popular Sichuan dishes, perhaps minus the tongue-numbing spice. Then again, the recipes were passed down from Chen Kenmin, a native Sichuanese, surely there has to be a level of authenticity to the food? To be clear, my level of authentication is from 11 years of living in China, eating various localised renditions of Sichuan cuisine across many cities. 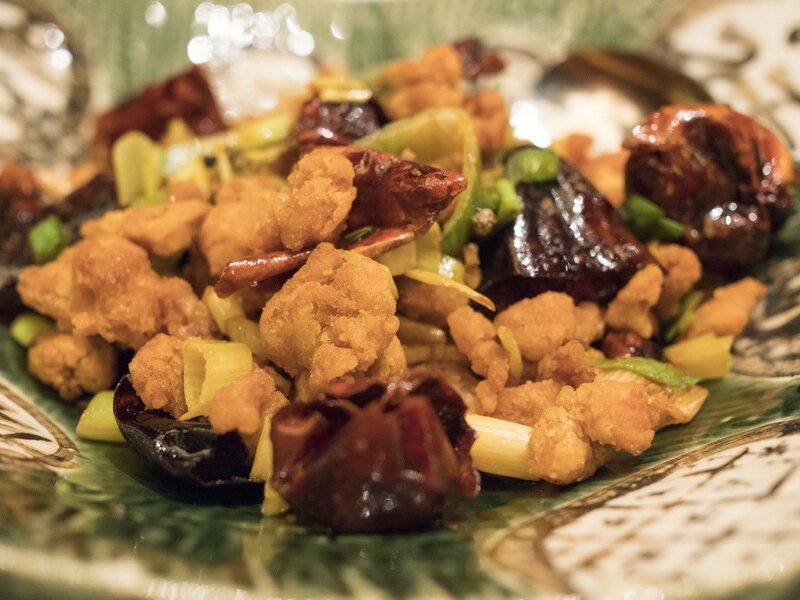 I purposely ordered mostly classic sichuan dishes that shouldn’t go wrong in terms of creativity and execution. Let’s see how they fared. 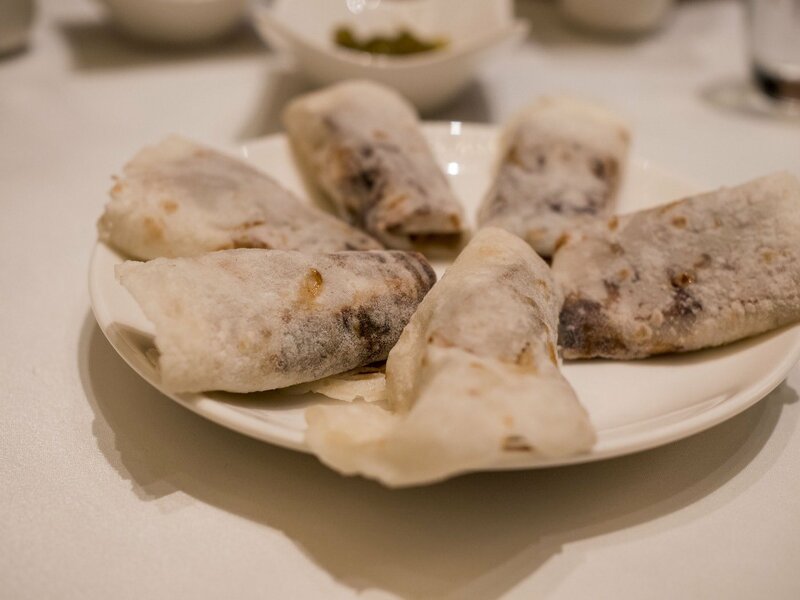 served wrapped in a Chinese flour tortilla with hoisin sauce and condiments, for $40. 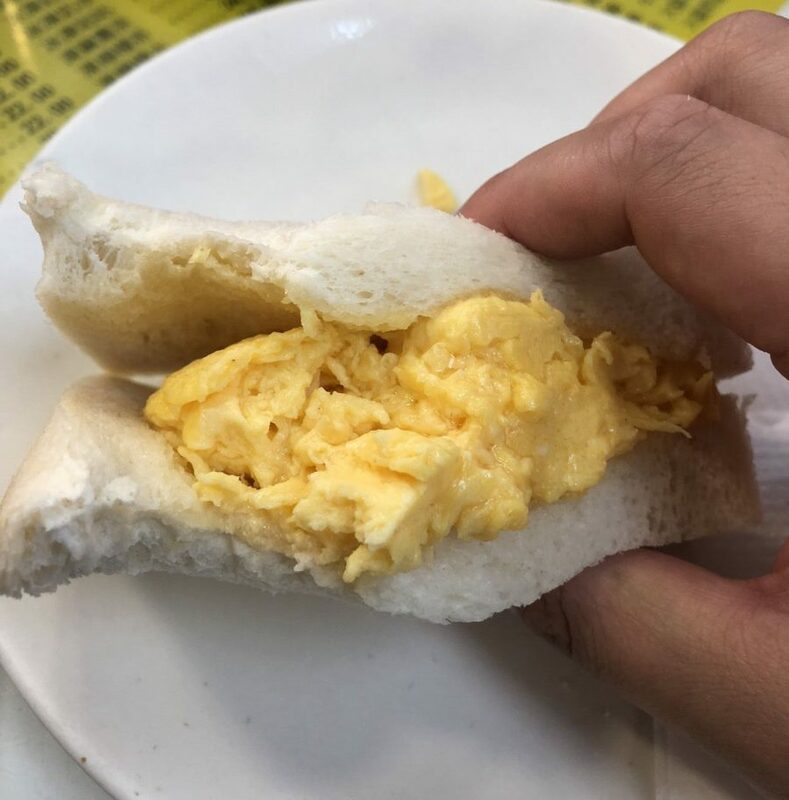 One of the most authentic Sichua… I’m kidding. 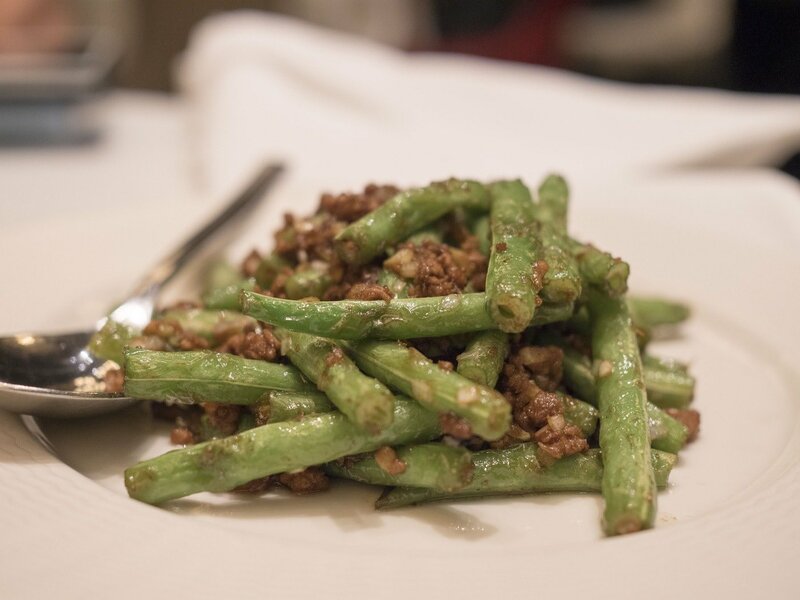 This isn’t a Sichuan dish, but a northern Chinese one, popularised in Beijing. It was just something I wanted to eat and Shisen Hanten seemed to do a good duck from what I had read about their London Duck. Sadly, the Peking Duck dish was very uninspiring. Picture taken table-side before they got handled. Served with the skin already sliced on a plate, and wrapped by the server table-side. The problem with serving the skin pre-sliced was that I don’t know where those pieces of skin came from. For all I knew, they could’ve been taken from a tray of skins pre-sliced from various ducks. 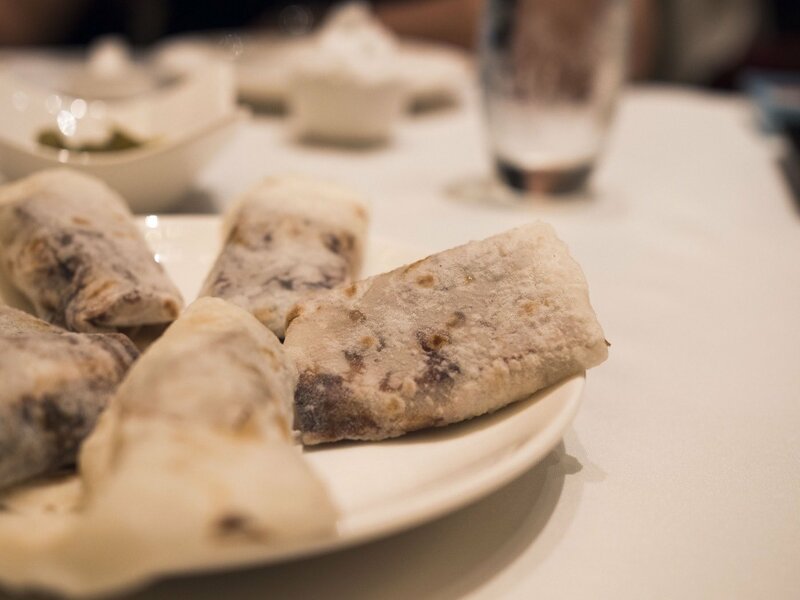 While I did liked the house-made flour wrappers, the wraps tasted predominantly of the wrappers, hoisin sauce and leeks. I didn’t get to enjoy the crispiness and umami-laden fats of the duck skin, which is the point and highlight of this dish. It was quite a shame. How would I have improved this? 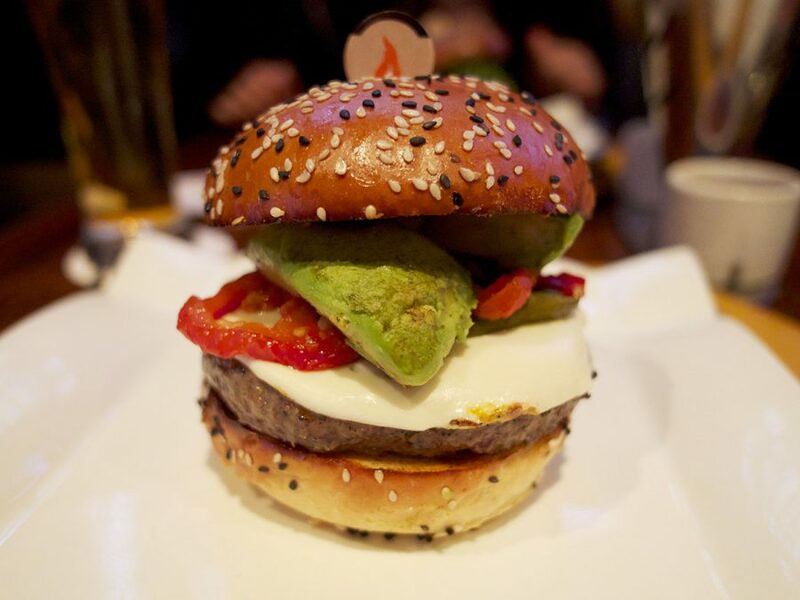 Simply increase the duck-skin-to-everything-else-ratio. The duck has to be the dominant component. This is a classic dish whose Chinese name literally translates to ‘water-cooked-fish’. 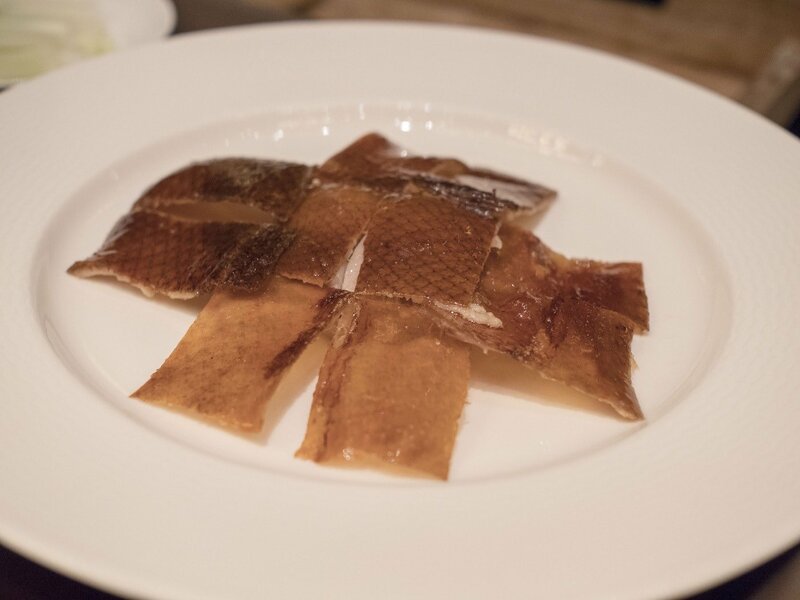 The typical version one gets in China is served with the fish slices first boiled in water and then cooked in a fragrant and spicy broth with a sizzling layer of oil ladled upon serving. Often, one gets the impression that the fish is cooked in oil rather in water. The version at Shisen Hanten certainly looked quite authentic with generous amounts of dried chillis and coriander on top of a clear, shimmering broth. I enjoyed Shisen Hanten’s version of 水煮鱼 for its clean tasting flavours; The soup, as reported by many online sources, was very drinkable. The thick slices of fish tasted succulent and quite fatty, which I nearly mistaken for Cod, to which our server quickly corrected to be sea bass. Shisen Hanten’s rendition of the popular crowd-pleaser, ‘la zi ji’, also arrived looking very much like the part. Taste-wise it was quite different though. 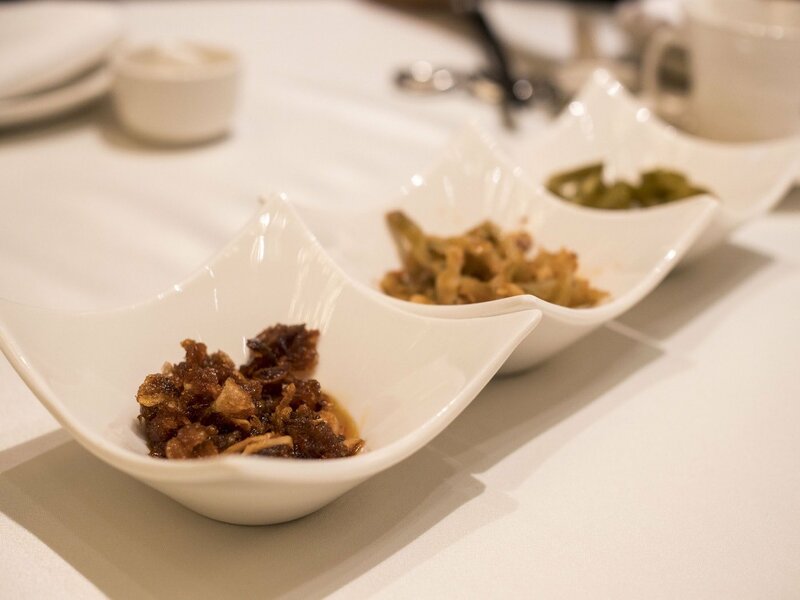 Thankfully, the version at Shisen Hanten featured boneless chicken pieces, unlike traditional Sichuan joints where small fragments of bone are often left as-is. The batter was light and crisp, and reminded me heavily of Taiwanese salt-pepper pop-corn chicken. I suspect sweet potato flour was used to coat the chicken pieces. The unfortunate aspect of the dish was that it simply tasted like Taiwanese salt-pepper chicken (盐酥鸡). The spices that were fried together with the chicken pieces either had not been properly ‘awakened’ in oil, or simply were not fragrant enough on their own. There was very little spice nor heat on the chicken pieces unless I bit into a peppercorn or chilli. Another Mid-Southern China staple, 干煸四季豆. $22 for this was certainly quite a premium. This was for me, the weakest dish of the lot. Missing were the chillis and Sichuan pepper corns. The beans were of decent quality, with their skin lightly wrinkled from a quick dip in boiling oil, as they should be. The ground pork, well seasoned, but really nothing special. Finally, the piece de resistance. 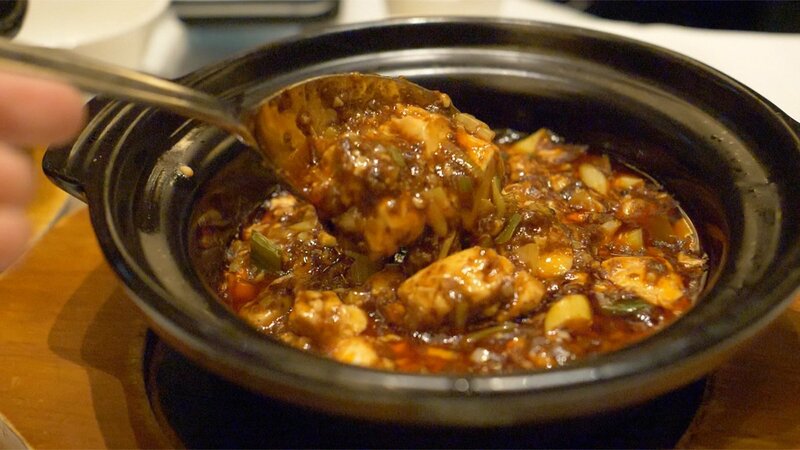 The Chen family’s signature and quintessential Sichuan dish — Mapo Tofu. This arrived looking very proper, messy and dirty as it should be. 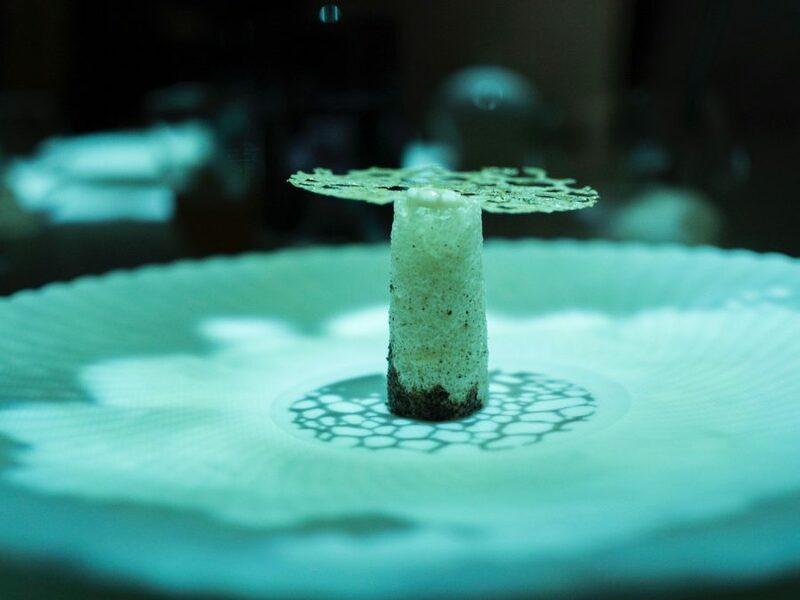 Although one might argue that for a two Michelin starred rendition, perhaps some effort should have been invested in grooming the dish’s appearance. Shisen Hanten’s Mapo Tofu tasted legit. 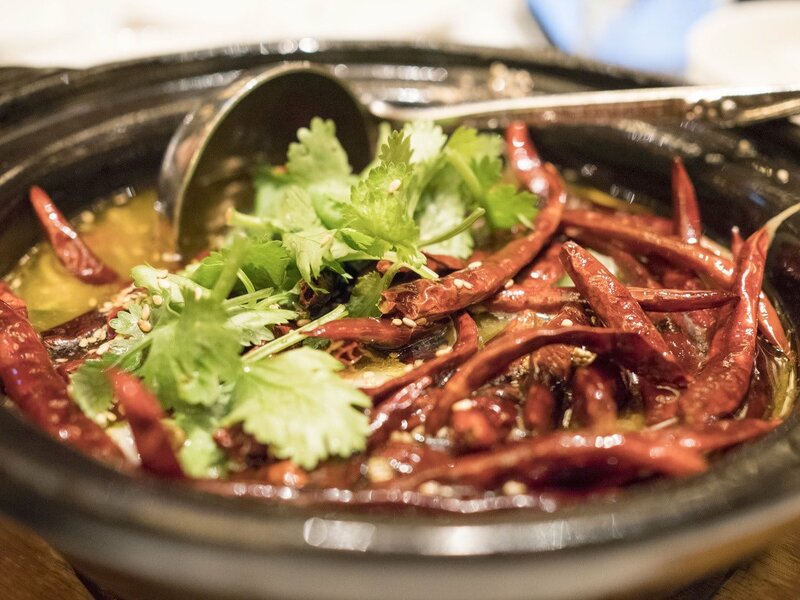 It had the spicy and numbing kick that embodied the essence of Sichuan cooking. 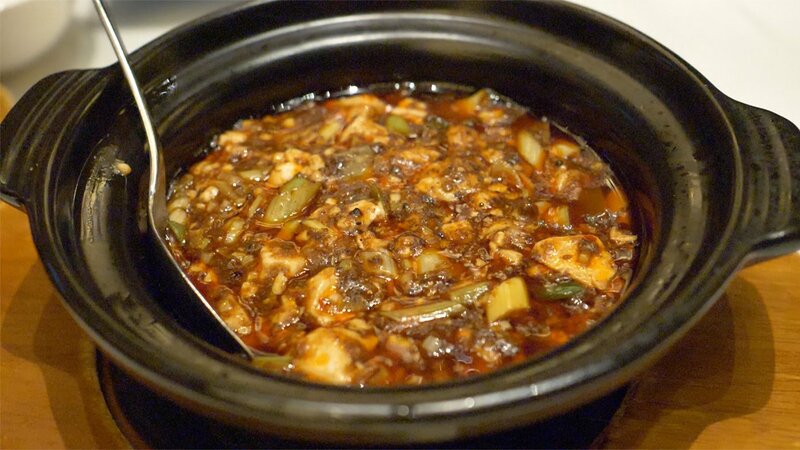 Each piece of tofu had absorbed the flavours of the spicy sauce almost as if they had been stewing overnight. The matured bean paste had a lovely nutty depth in it’s flavour profile, and the dish on the whole was neither overly oily nor cloying. And that concluded our meal at Shisen Hanten, Singapore. 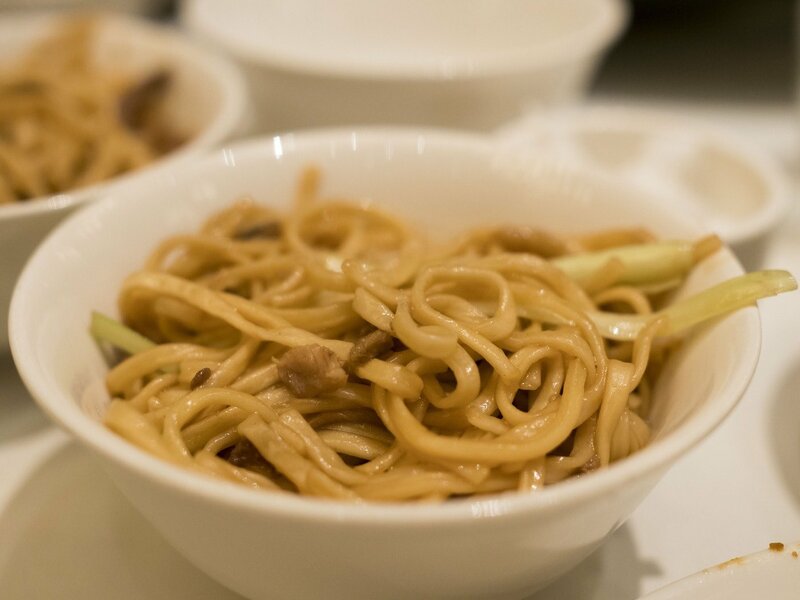 I was a little disappointed, because many of the dishes, while pleasant, felt ‘neither here nor there’; Meaning, they were either not Sichuan-esque enough nor the finesse and clarity of Japanese cuisine. Which made me wonder again: on what grounds did Michelin based their consecutive two stars on? 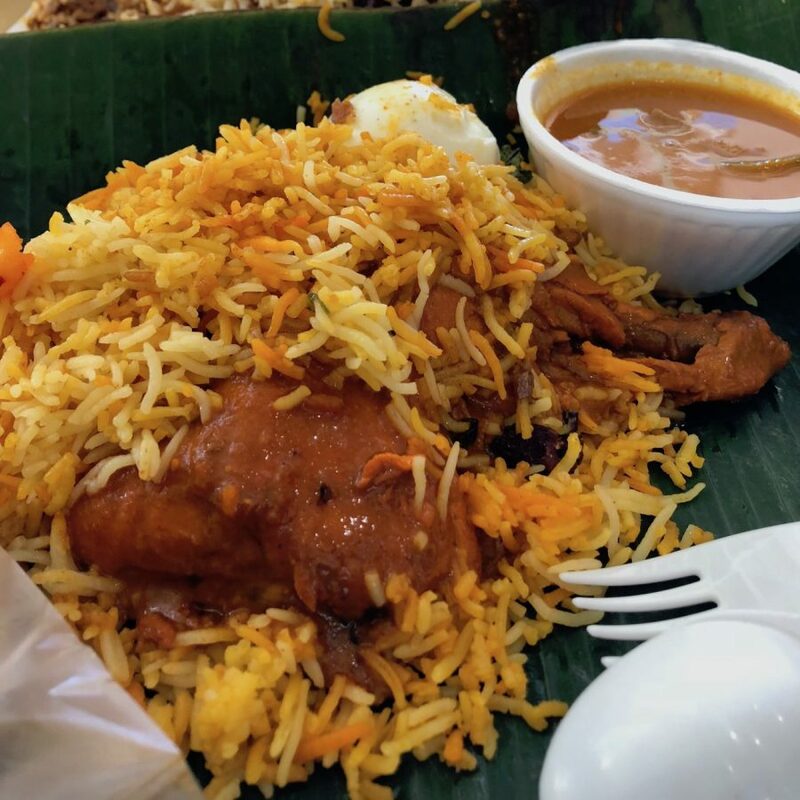 Can we still trust the Michelin guide in Southeast Asia? Especially when the last two-star restaurant I visited (and was also renewed for two stars in 2017) was of similar if not worse quality. 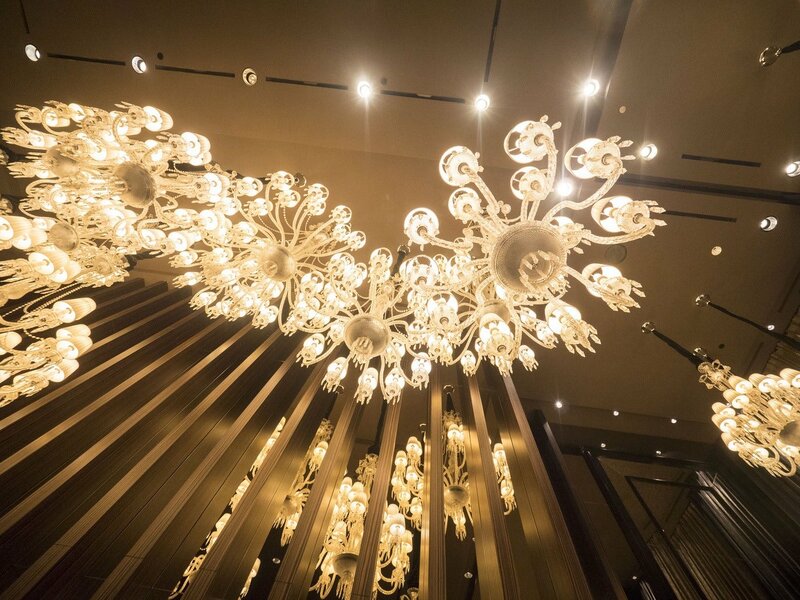 What are your experiences with Michelin starred restaurants? Let me know in the comments below!